The key here is to get your whipped egg whites nice and stiff. Peaks should hold straight up when you lift your beaters out of the whites. 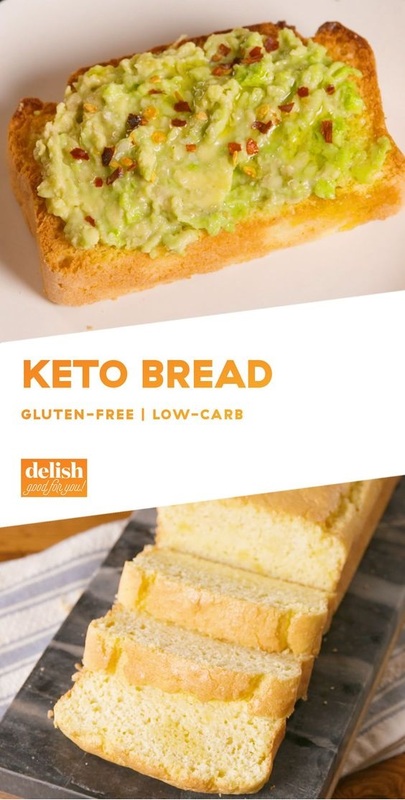 For 100+ great keto recipes, check out our new cookbook Keto for Carb Lovers. Preheat oven to 375° and line an 8"-x-4" loaf pan with parchment paper. Separate egg whites and egg yolks. In a large bowl, combine egg whites and cream of tartar. Using a hand mixer, whip until stiff peaks form. In a separate large bowl using a hand mixer, beat yolks with melted butter, almond flour, baking powder, and salt. Fold in 1/3 of the whipped egg whites until fully incorporated, then fold in the rest.